These were quite tasty. 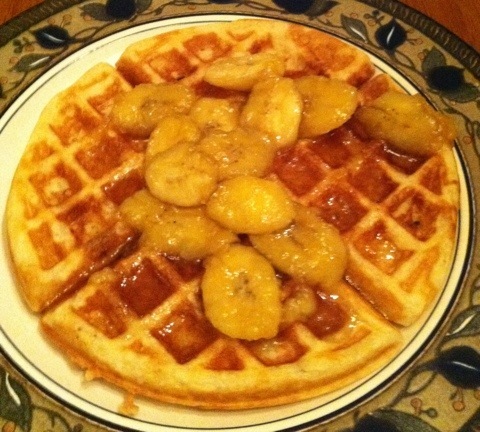 The waffles were quick, easy and delicious, but it’s really the bananas that took this over the top. You could probably use any favorite waffle recipe and make it divine by adding the bananas and syrup, in a pinch. 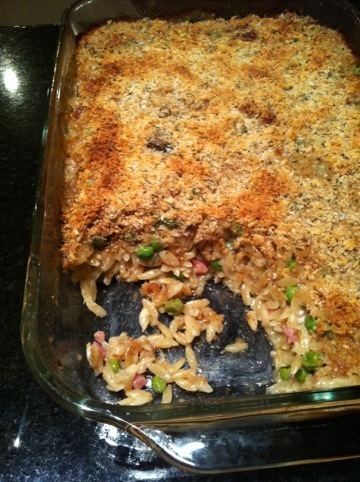 This is a great Giada recipe (recipe here). That girls never steers me wrong. Every one of her recipes that I’ve tried has turned out well. If you use veggie stock, instead of chicken stock, this recipe would be vegetarian, but my vegetarian daughter was out for the evening, so I went the other way and added a cup of chopped ham. 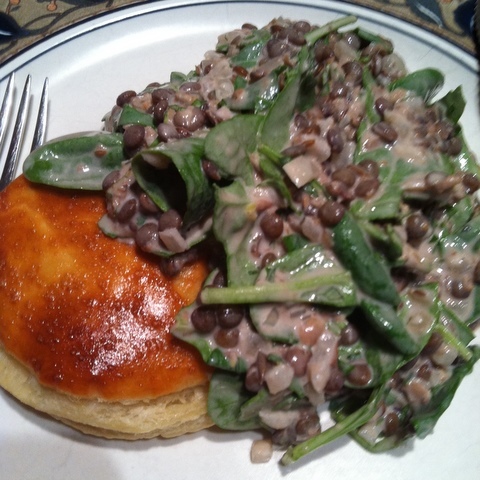 Really nice and made it more of an entree than a side dish. The Marsala flavor in this is really yummy and the crusty bread crumbs on top add something special to the warm, cheesy goodness of the inside. These are a recipe that my mom used to make for me when I was a kiddo. When I saw all of the beautiful, fresh cranberries in the store this year, while preparing for Thanksgiving, I finally thought to ask her for the recipe. 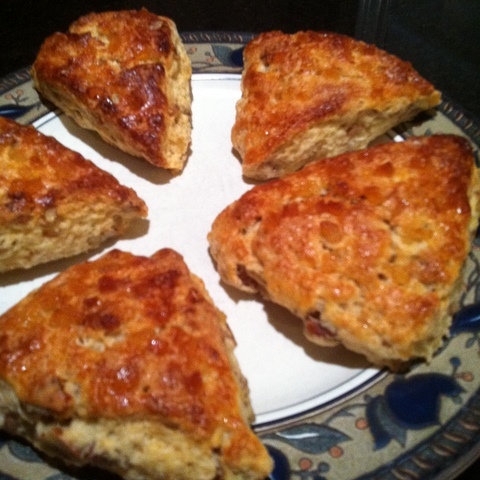 They are SO good: crispy and crunchy on the outside and moist and zesty on the inside, with the gorgeous color and tang of the cranberries punctuating throughout. Yum. 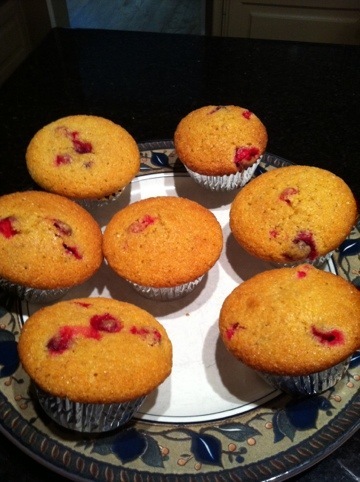 FYI: Fresh cranberries can easily be frozen for future use (you can even toss them into this batter while still frozen.) Just rinse them with cold water, discarding any unsightly withered ones, then gently spin them dry in a salad dinner. Spread them out on a cookie sheet to freeze them. When they’re individually frozen hard, store them in a tightly sealed ziploc until you need them and you can easily pour out just the amount that you need. Whisk together dry ingredient (flour, sugar, cornmeal, salt, soda.) In a separate bowl (or 4-cup glass measuring pitcher,) whisk together the remaining wet (buttermilk, oil, eggs, liqueur or juice and zest) ingredients, reserving the cranberries to the side. Pour the wet ingredients into the dry ones, then add the cranberries. Stir gently until the batter is moistened, but still lumpy. Measure into muffin cups (an ice cream scoop with release lever works beautifully to ensure consistent size) and make until the tops are golden brown (about 20 minutes.) Let sit in the pan 5 minutes before removing. 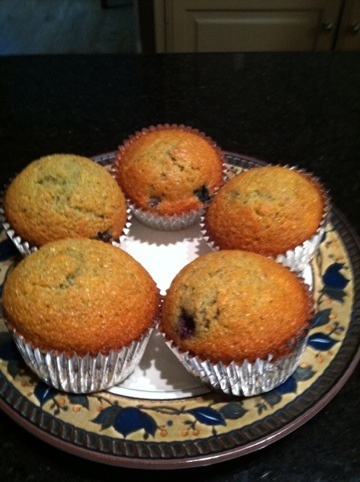 I also made a batch with blueberries, for my son and Hubby, who aren’t cranberry fans. Silly boys. Yum. 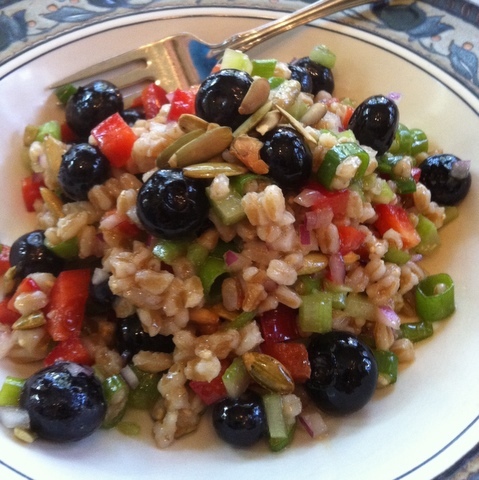 Definitely not for everyone, but if you LOVE blueberries and you LOVE Indian flavors, as my vegetarian daughter does, you will love this salad. When I saw this recipe, I knew it had her name on it. Instructions and recipe for Cranberry Jam here. 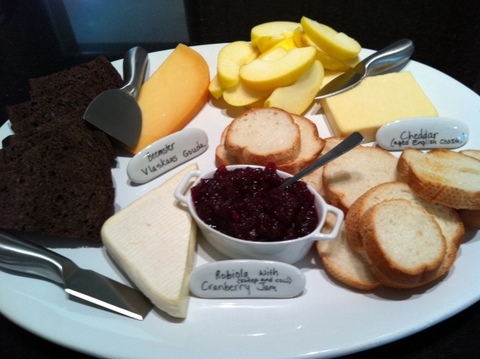 This was a little bit of trouble, but the bread crisps and jam can be made ahead of time and were absolutely delicious. Yum. Fantastic. Worth the effort. Yum. Loved these. A definite make-again. I acknowledge that the way my family (especially my daughter and I) feels about lentils may not be the norm, but we love them and can’t get enough. They are delicious (especially the French du Puy variety) and peppery and filling and wholesome and healthy and hearty. This is a fantastic recipe to incorporate them. 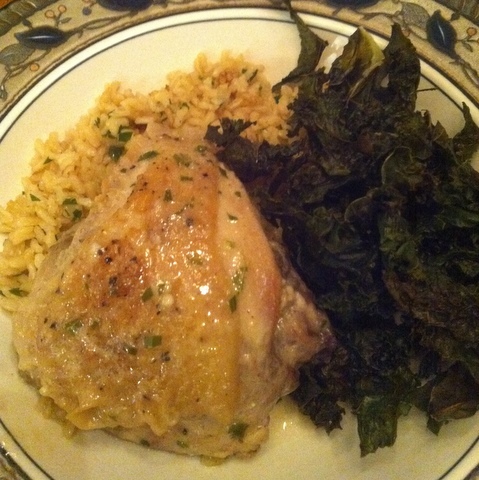 I served ours over rice, with crispy kale, rather than with bread, as was suggested in the recipe. 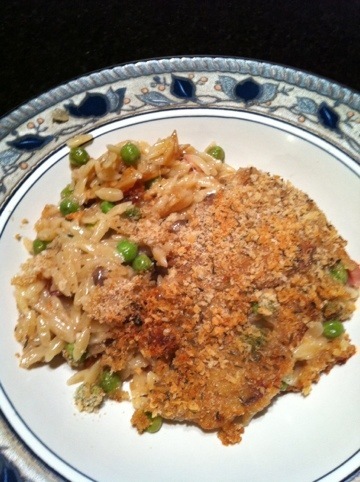 This was fantastic and made the house smell amazing as it was cooking. I made it with 4 drumsticks and 4 thighs, because I had 4 whole legs on hand that I just cut in half. Yummy. 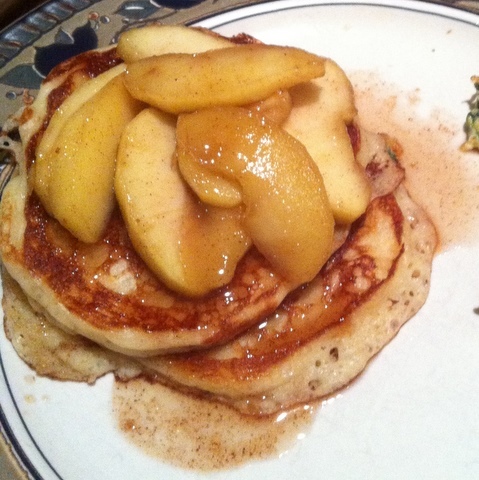 I absolutely love ginger, so these were a big hit (3 different kinds of ginger? At the same time? Yes, please!). The fact that the batch makes 12 was a plus, as well. We had 4 for breakfast one morning, shared some with parents and still had 4 to put in the freezer for another morning. Highly recommend for ginger lovers. The ginger flavor is pretty strong for people who aren’t ginger fans. But, if you’re not a ginger fan, why would you even consider making a recipe that has three different kinds of ginger, anyway? 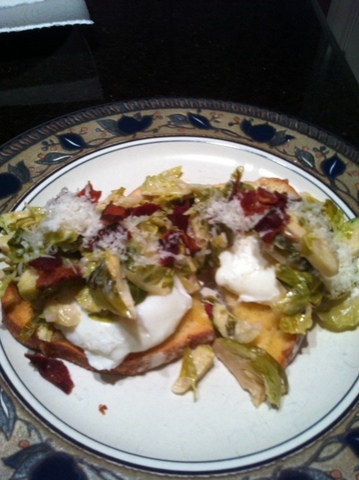 This was quite yummy, kind of like a hybrid between our favorite Brussels sprouts and Eggs Benedict. The only thing is that it wasn’t quite as tasty as either one is. And, as my 14-year son so accurately pointed out, “Don’t take this the wrong way, Mom, but, even though this tastes really good, it kinda looks like barf.” Can’t really argue with that. And the way that I made it looked exactly like the picture accompanying the recipe, so I can’t really claim cook error for the unattractive nature of the dish. It was tasty, though. Enjoyed it once, probably won’t make it again.